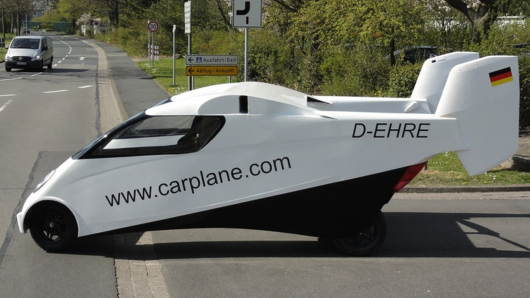 A German based company Carplane has unveiled a prototype of a flying car that it hopes to go to production in the near future. The name of the company is carplane. There have been 2,000 attempts to make a flying car in the last century. Many of them were completely impractical designs as cars make bad airplanes and vice versa. Both have different sets of constraints and are expected to behave in different ways in their respective elements. We have been teased a lot by the prospect of having a flying car. All those traffic jams could be avoided by just taking off from the roads. All this was the reason, why the cars couldn’t make practical commercial designs and most of them, were made just for fun. But lately, serious designing has been done in this field as it may change the face of business traveling altogether. It will be possible now because it is seriously being considered for its business travel utility. Businessmen need to go from one city to another and move a lot in between. They don’t have fancy cars waiting for them at each terminal, and they might need to engage rental options complete with a driver’s services. 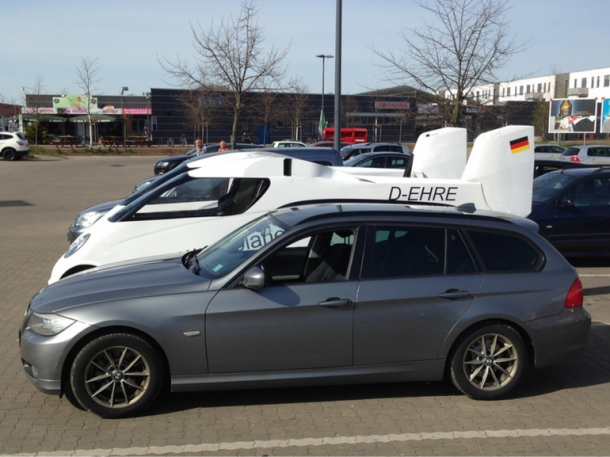 Why not have a car you can fly o the airport and then you can hit the road with it. It would save precious time and hassle for the entrepreneurs and their significant engagements. The project is funded by the European Union and the state of Lower Saxony, Germany. This serious funding sources also suggests that Carplane is actually serious in introducing the car to the public. 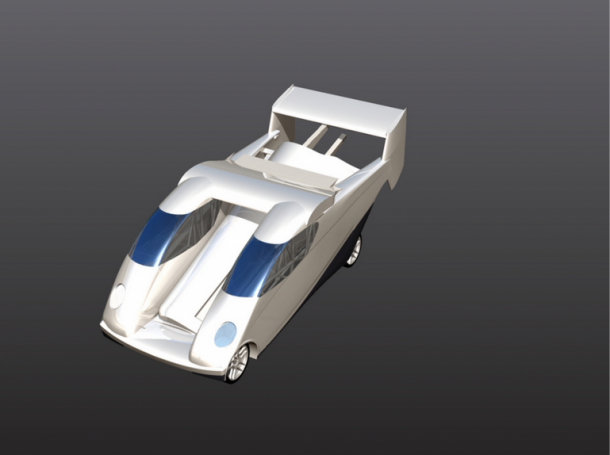 The car/aeroplane has retractable wings and such that they can be moved into the space between the twin fuselages. This a principal improvement as previous flying automobiles came with folded wings that weren’t practical as they took a lot of space and made the vehicle abnormally large. Currently, the wings have to be stowed manually, but the company has announced that automated arrangement is not far ahead. There are four 15″ non-retractable wheels installed in the car, providing a take-off run of only 85m. 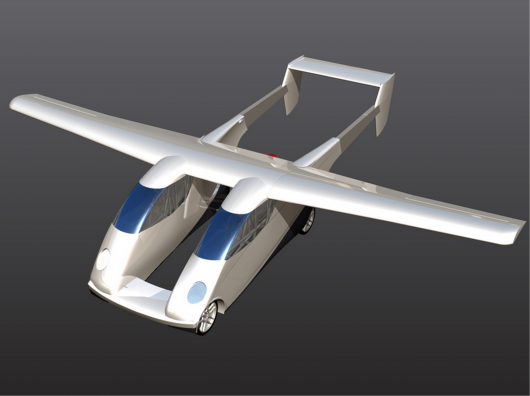 The short take-off means that the car will be able to take off from improvised landing strips. The weight of the car isn’t more than a compact two-seater, and the frame is small enough to fit inside a standard garage. The separate fuselage arrangement does mean that the two persons will be separated from each other. But, Carplane insists that it isn’t a big deal as passenger and driver are separated in taxis all over the land travel, Ha! A 151 British Horsepower engine powers the car and the range of the vehicle is estimated to be 836 kilometers, a maximum achievable altitude of 15,000 feet and a maximum speed of 200 Km/h. On the ground, it is compliant with Euro-5 standards and it can achieve speeds up to 176 Km/h. Well, do we have to say anything else? It will be a blockbuster if it makes its way to the market!